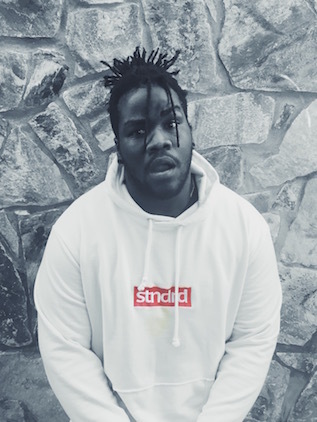 Just in time for graduation season, and following the release of his lead single, “Reachin,'” featuring Trinidad James, Kelechi has enlisted the help of Motown’s BJ The Chicago Kid for “The Glo,” off his debut album, Before The Quarter, created with the $50,000 grant that was part of his prize as the winner of Green Label Sound: Open Call . “‘The Glo’ is like a victory lap of the album and this whole process, finishing the album and everything on a high note. It’s a super triumphant song,” Kelechi says in his Green Label track-by-track annotation of the album. “It’s really inspirational, and I want that song to feel like the fruition of hard work,” he says. Produced by Chance The Rapper’s frequent collaborators Nate Fox and Peter Cottontale of The Social Experiment, the feel-good, celebratory track also features a choir and BJ’s expert arrangement. Kelechi’s Before The Quarter drops May 6.